Las Vegas New Home Team Special Offers! 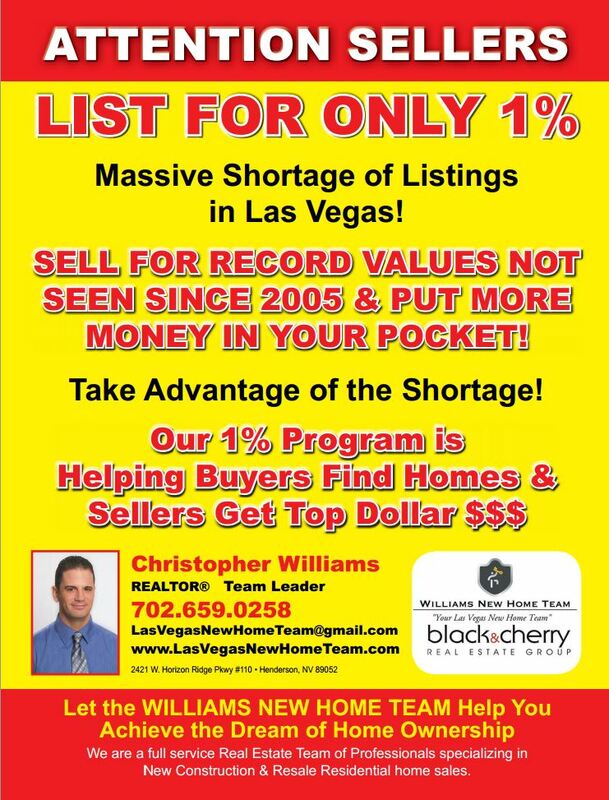 Call the Las Vegas New Home Team 702.659.0258 for more info! 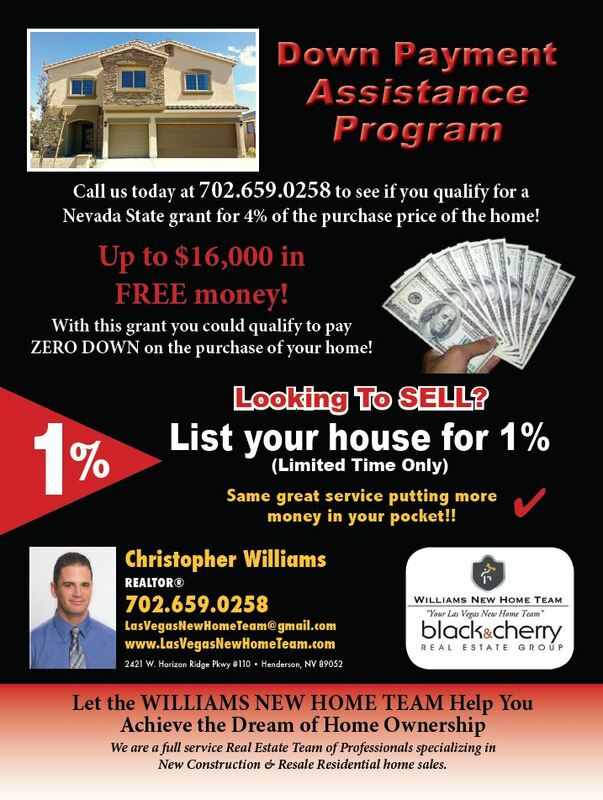 Call us Today at 702.659.0258 to see if you qualify for a Nevada State grant for 4% of the purchase price of the home! Up to $16,000 in FREE money! With this grant you could qualify to pay ZERO DOWN on the purchase of you home!